Ranked #26 in our countdown of the 100 Best Hotels and Resorts in the World. There’s a certain big-business resonance to this hotel – all that sleek and shiny black, marble and chrome, with bold modern touches. 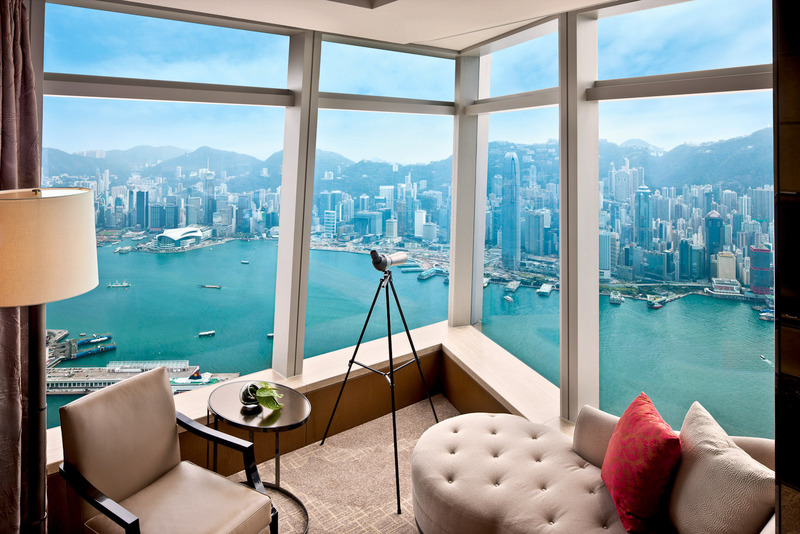 As the highest hotel in Asia, it towers over Hong Kong from Kowloon with unrivalled views of the island. The Club Level is the one to be on – your dedicated concierge will attend to ‘even your unexpressed wishes’. The spa is excellent and there’s a slew of top-notch restaurants with outstanding service. Top of the town, indeed. Did you know The ritzy-glitzy OZONE cocktail bar on the 118th level is the highest bar in the world.